Aperture is the foundation for your new home on the Internet. You tell Aperture which feeds you want to follow, and it works behind the scenes collecting new posts. Aperture can follow Microformats, JSON Feed, Atom and RSS feeds. Aperture doesn't have its own interface for actually reading the posts it collects. Instead, it makes the data available via an API, and you can use a variety of apps to read your feeds! 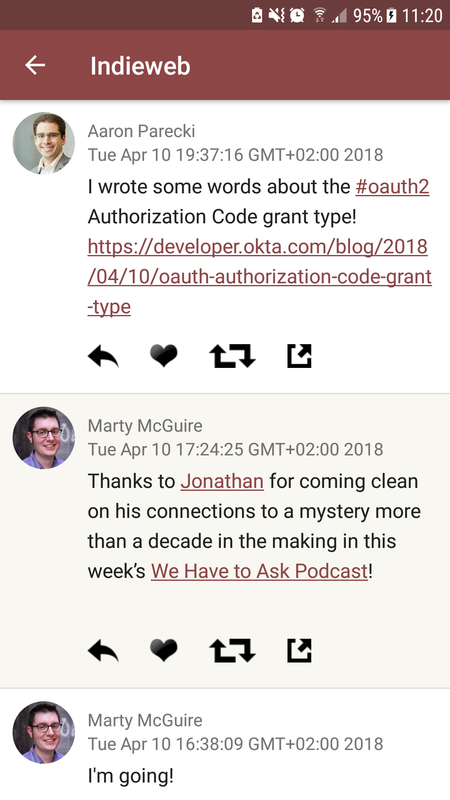 Aperture provides a way to manage subscriptions and show some debugging info, but normally you won't interact with it after you've set it up, you'll use a reader. Aperture makes it easy to get started using Together, Monocle, and more! Aperture is a Microsub server. 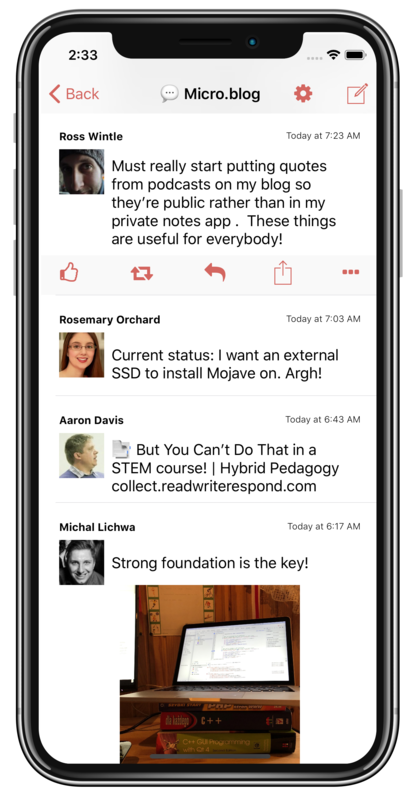 Microsub is a spec that provides a standardized way for reader apps to interact with feeds. 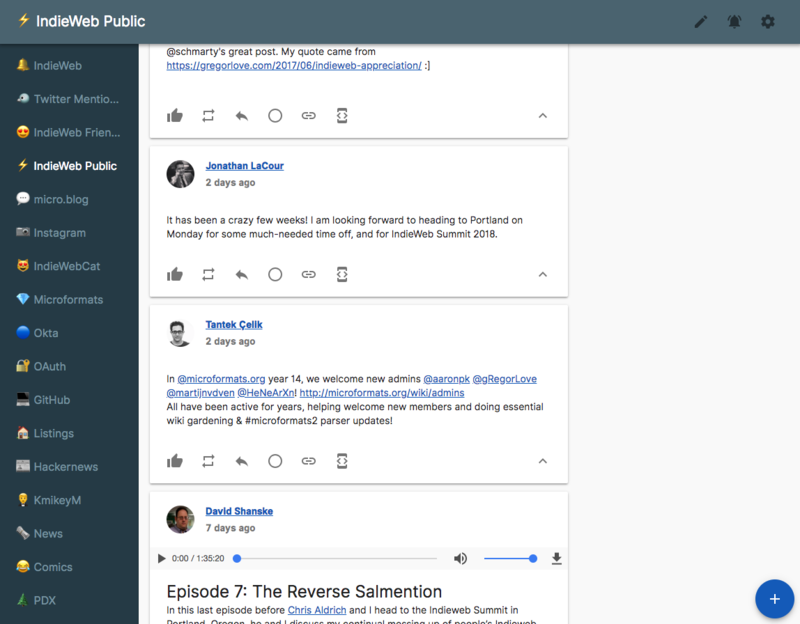 By splitting feed parsing and displaying posts into separate parts, a reader app can focus on presenting posts to the user instead of also having to parse feeds. 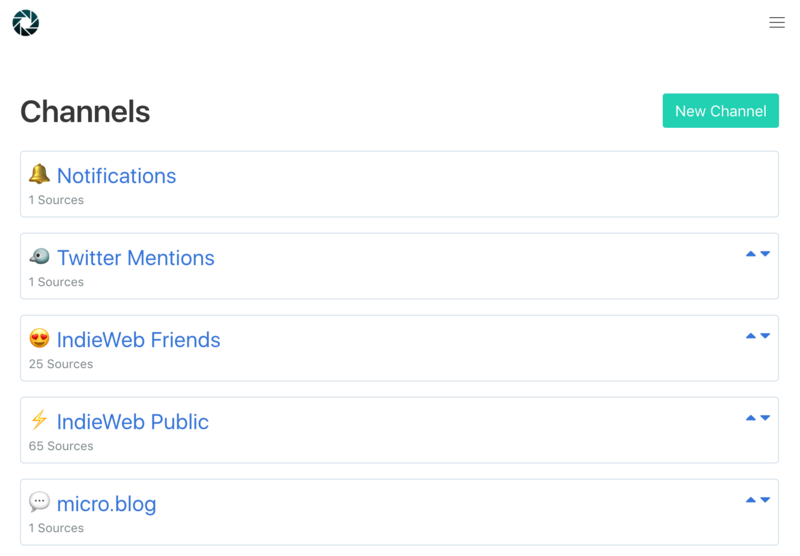 A Microsub server manages the list of people you're following and collects their posts, and a Microsub app shows the posts to the user by fetching them from the server. Aperture is just one option for getting started in this ecosystem. You can find a list of other Microsub servers on indieweb.org, many of which are able to be self-hosted. If you're so inclined, you can even write your own! As long as your server supports the Microsub spec, you should be able to use any existing Microsub app with it! Read the documentation for more details on using Microsub and Aperture. 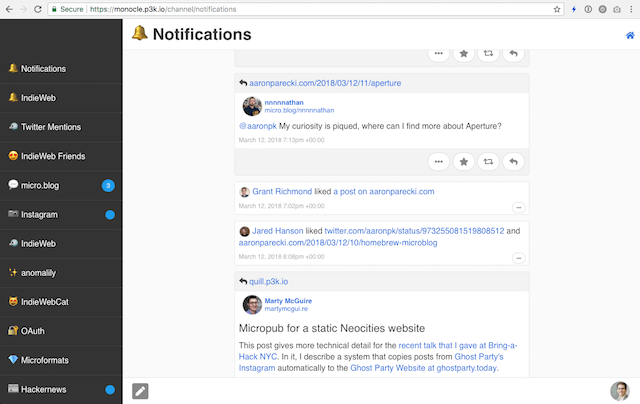 Aperture is created by Aaron Parecki and is part of the IndieWeb.